At Avvair Hair Replacement in Madison, we begin with a complete hair and scalp evaluation to help you get the right hair loss solution that best suits your particular hair loss type and degree, your expectations and lifestyle. 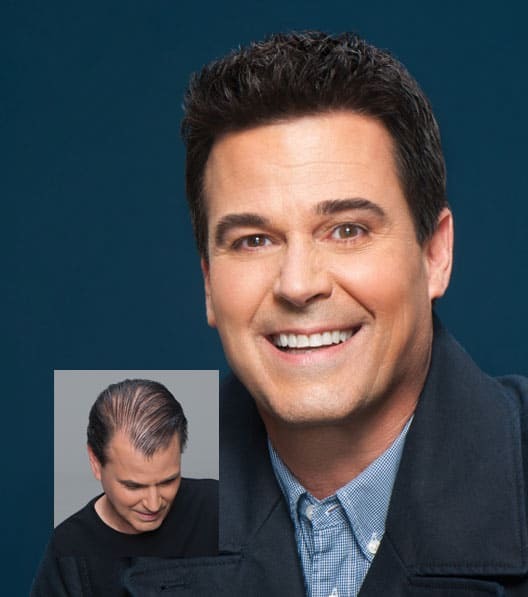 If you are a man that is just beginning to experience thinning hair, our FDA cleared low level laser hair therapy could be an excellent option. If you are experiencing a more advanced degree of hair loss and balding, then our state-of-the-art men’s non-surgical hair replacement systems offer an ideal men’s hair loss solution to restore the volume and fullness you once had. Our men’s hair replacements are custom designed to your specific requirements and made with the finest in 100% natural human hair. The result is a great looking head of hair, that looks, feels, and flows just like your own natural growing hair; and is virtually undetectable to both sight and touch, even when you’re up close and personal. We have excellent, proven solutions for all types of men’s hair loss. And the first step to get your hair back and restore your confidence is to come in for a private, complimentary hair and scalp evaluation.